This time the spotlight will be shining on Expander, a fast-paced arcade experience about manipulating mass to avoid crashing into stuff. Let’s see if we can’t help it escape the cold emptiness of Greenlight limbo. 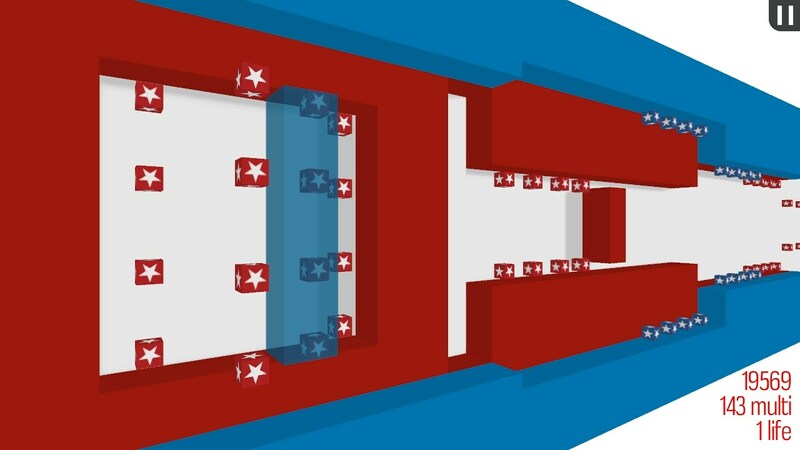 Expander is a fast-paced reaction game that challenges you to take risks. Collect precious stars by lifting and stretching your colored block. Shrink it to avoid obstacles. Stay calm and be prepared for mind-boggling twists. Well, what can I say besides “yay, minimalism”? A lot, of course! For starters, Expander came to life during Ludum Dare 26, which used that very theme (ain’t trivia great?). I do believe a warning should be issued, regarding this particular game though, because… it’s incredibly difficult! We’re talking rage quit level of challenge here. Oh, still with me? Great, because in spite of that, I’d still label it a genuine “just one more go” experience. Expand, shrink, expand, ascend, descend, expand, ascend – yup, that about sums it up. Like most arcade games, this one’s all about skill and reflexes, as you race towards that high score by going the distance and collecting every star in sight; just be careful not to crash. So riddle me this, dear reader: why is Expander still struggling to get through Greenlight? It’s been out for a while (since July 2013), so lack of availability is certainly not the reason. If you haven’t done so already, might I recommend visiting its Greenlight page and handing over a ‘yes’, if you like what you see? Remember: your vote matters! Expander is available for Windows, Mac, Linux and Android from the official website (via. the Humble widget), priced at $2.49 and without any DRM.